Um ... maybe not. Harry's several-times great grandmother, Princess Charlotte Sophia of Mecklenburg-Strelitz, may actually have been the first black royal. Although she was born in Germany, Charlotte's family tree includes a sturdy branch from Portugal's black royal family. Her ancestral grandmother is said to have descended from Alfonso III (who ruled Portugal in the Middle Ages) and his beloved, Madragana, who was reported to be a black Moor. The first time I saw the portrait, I did a double-take. "Wow — she's black! Why did I not know this?" I must have murmured it aloud, because a little lady next to me, also studying the painting, said, "No, dear, she's German. See?" And pointed to the description on the plaque next to the picture. Eye of the beholder, madam. Charlotte looks like a whole bunch of black folks I know. Mario de Valdes y Cocom, an independent historian/researcher at PBS, has spent much of his career studying people of the African diaspora and their connections to Europe and the Americas. Valdes thinks it's perfectly plausible that Charlotte had black ancestors, given her myriad connections to the Portuguese royal family. Frontline devoted a segment to it. Other historians dismiss his claim as far-fetched. The London Sunday Times published an investigative piece in 1999 called "Revealed: The Queen's Black Ancestors." It caused quite a stir. At the time, the Boston Globe called Buckingham Palace to inquire further and was told, in essence, no biggie. "This has been rumored for years and years," palace spokesman David Buck told the newspaper. "It's a matter of history, and frankly, we've got more important things to talk about." A "really big step forward" for mixed race people — or, nah? Maybe folks will get tired of dissecting Charlotte's ethnic makeup (lucky for her, she existed well before social media), but don't expect people to not be interested in the current almost-royal. The media — especially the British media — cannot mention Meghan Markle without pointing out that she's mixed-race. 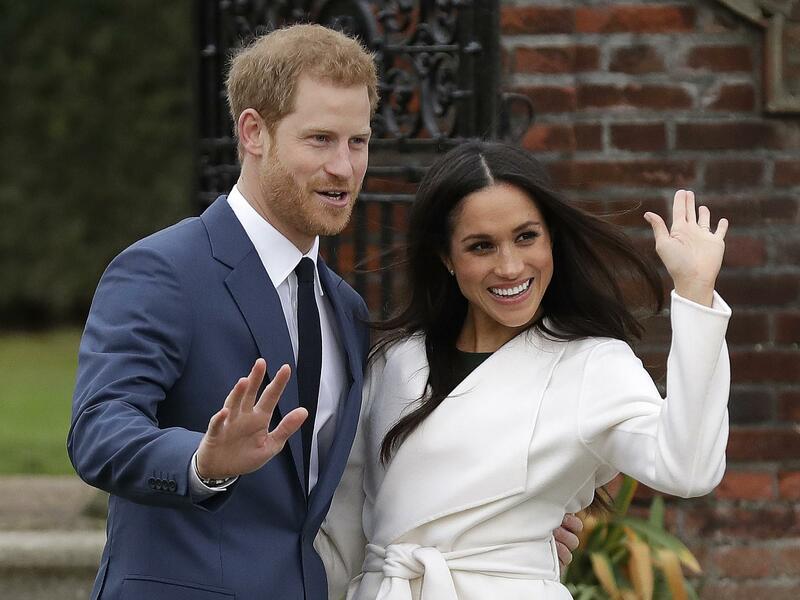 Whether or not she cares, Markle has become a symbol of biracial people's coming-of-age, and maybe of the country's collective adulthood on race. The BBC's Amal Fashanu (who is also biracial) said, "For people who are mixed-race, I think that this is really a big step forward." This royal engagement is something lots of people will have an opinion about. Might as well mix yourself a Pimm's and settle into a comfy chair; it's going to be a minute before people get tired of discussing it. But you have to admit, when ethno-nationalism is having its day again — both here and across the pond — it's a relief to focus on a news story for once where race is a happy element. Cheers, y'all.